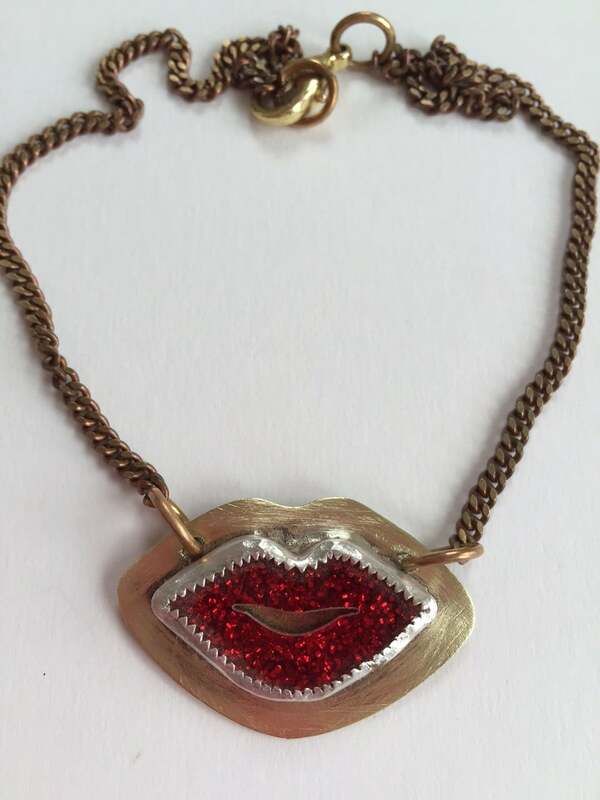 Sparkly Lips Necklaces available in 2 red only. 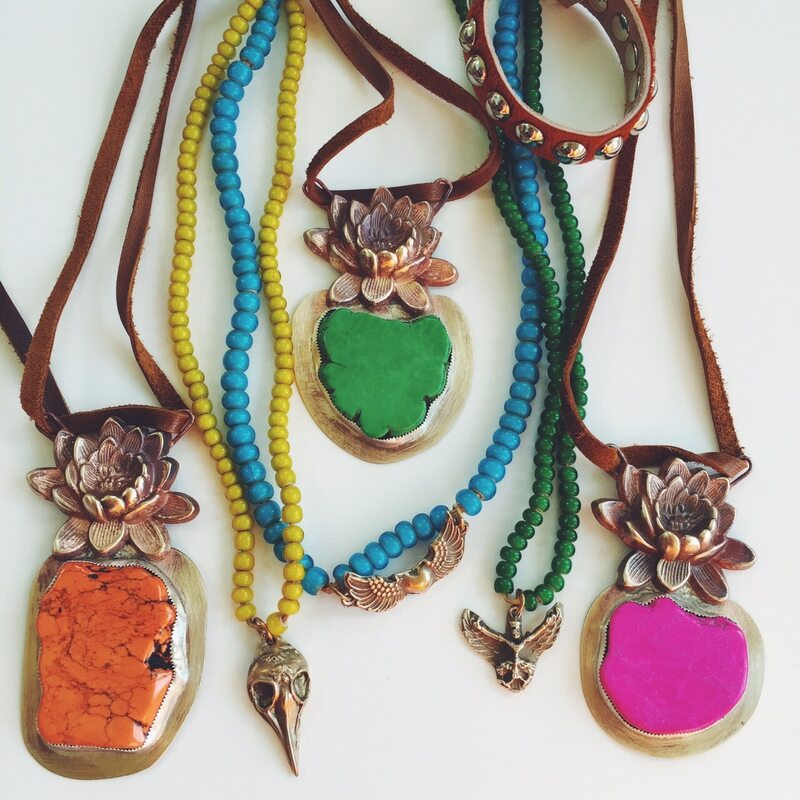 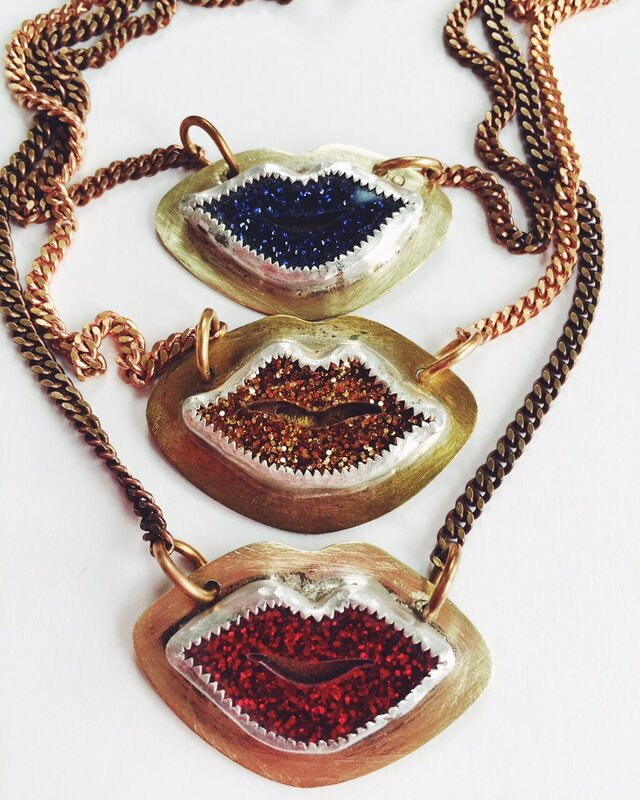 The perfect 70’s inspired accessory for this season. 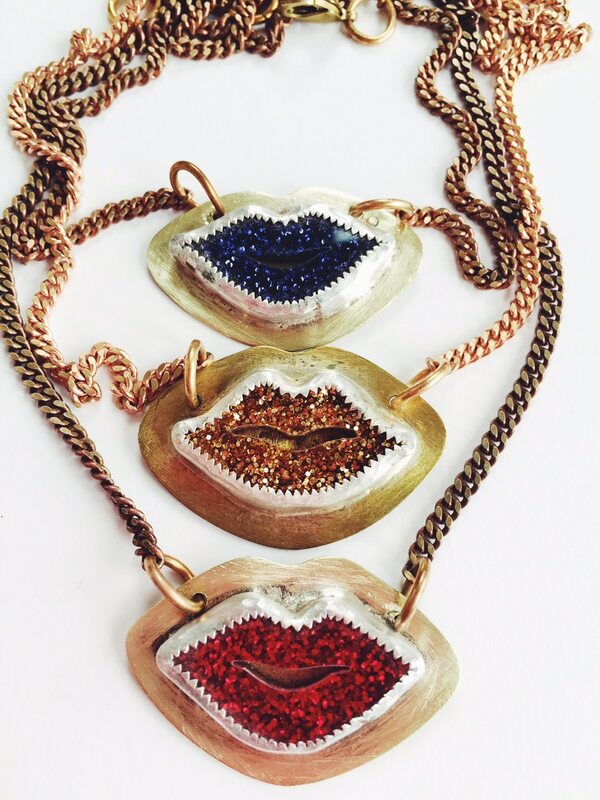 Hanging on brass chain this glitter lips necklace is set in silver and brass and is super cool!